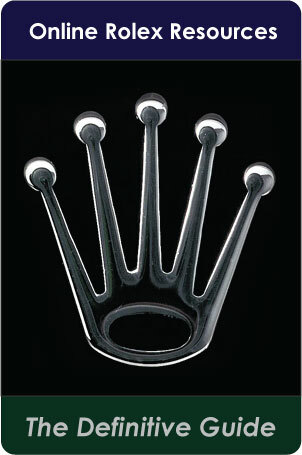 I believe this is one of the most profound discoveries in Rolex history–if not the most profound. One of the Rolex History Holy Grail Mysteries that has NEVER been solved was wether French Explorer, Captain Jacques Cousteau wore a Rolex Submariner. 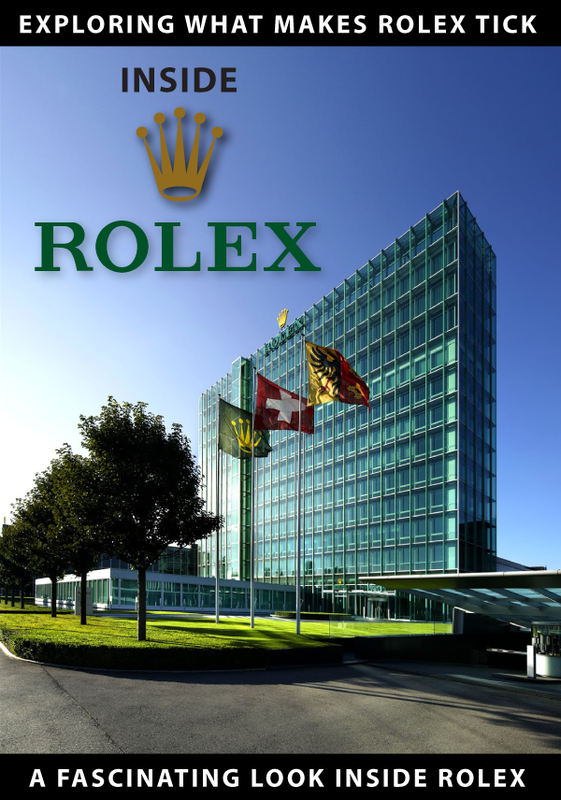 People in the Rolex history world have speculated about this question for a long time and we even ran a story back in October of 2008 that offered the best photographic evidence we could find. I said that in this following photo it looked to me like Jacques Cousteau was wearing a Rolex Submariner, but I could not tell for certain. So what makes this a solved mystery? I don't know of ANY source, in any medium, wether it be print, video or on the web that specifically and unequivocally identified the fact that Jacques Cousteau wore a Rolex Submariner–until now. So what is the big deal and what makes Jacques Cousteau so significant? I believe Captain Jacques Cousteau was the greatest explorer, adventurer and environmentalist in history. 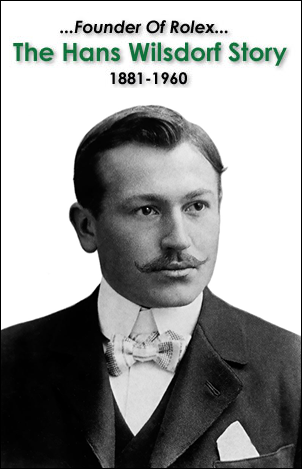 He was also the inventor of SCUBA Diving–which freed man to swim through the oceans untethered–as if they were flying through the water. This may not seem like such a big deal today, but it was a HUGE deal back in 1943 when Jacques Cousteau co-invented the Aqua-Lung which allowed a diver to breath compressed air while swimming underwater. In 1956 Jacques Cousteau produced a ground-breaking, Academy Award winning movie titled "The Silent World" and again in 1963 produced a second Academy Award winning movie named "World Without Sun." Jacques Cousteau went on to produce a series of over 120 TV specials like "The Undersea World Of Jacques Cousteau" which made him an extremely visible and successful global icon. 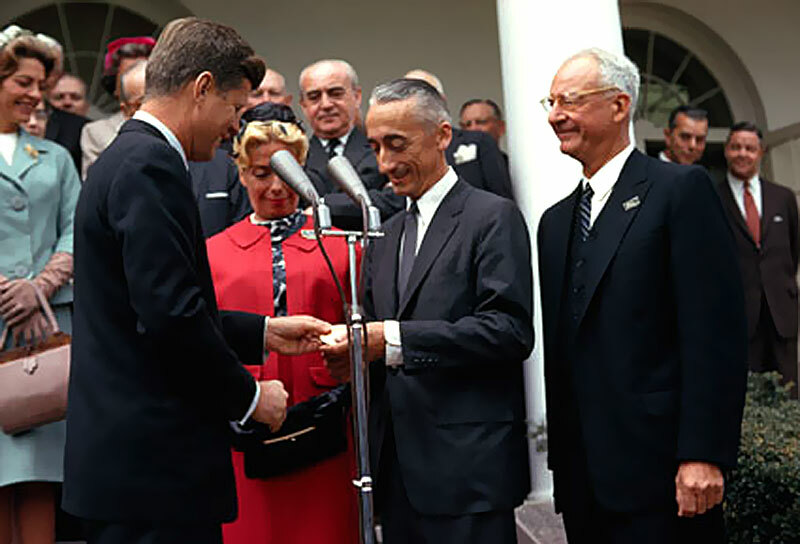 In the photo below taken on April 19, 1961, in the White House Rose Garden, President John F. Kennedy is presenting Jacques Cousteau with The National Geographic Society's special gold medal. The gentleman on the right side of the photo is Dr. Melville Bell Gorsvenor who was the President and editor of National Geographic. I have written detailed articles on the amazing achievements of Jacques-Yves Cousteau which I highly recommend. 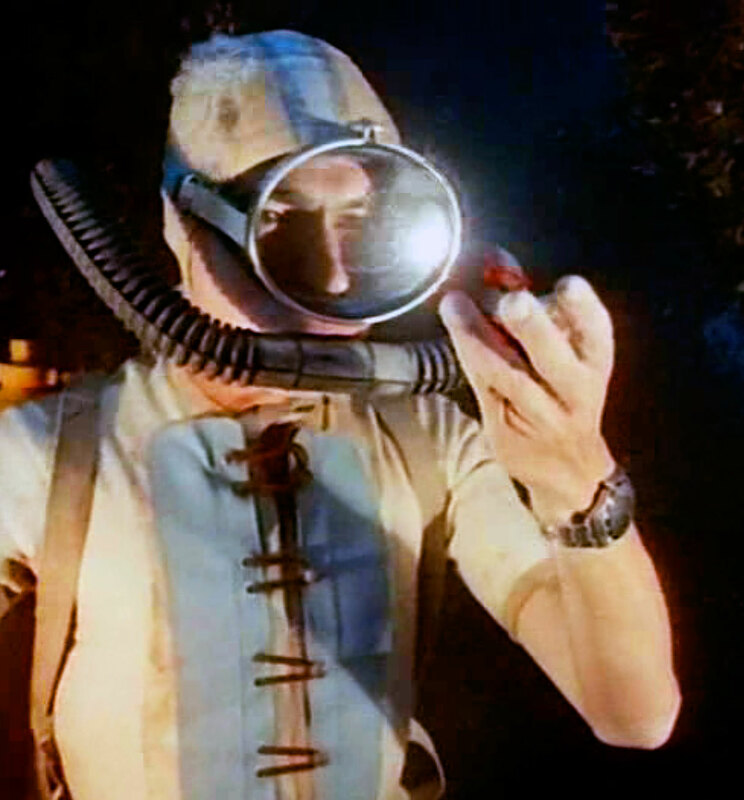 The first article illustrates how I discovered that Jacques Cousteau wore an early prototype Rolex in 1953 (Pictured below) when he filmed The Silent World. The second article, is all about how Jacques Cousteau and Emile Gagnan invented the Aqua Lung which made SCUBA diving possible. When I was a kid, I would watch Jacques Cousteau specials with my family and we would see Jacques Cousteau's French dive team traverse the planet moving from one exciting adventure to another. My personal favorite beside Cousteau was Albert Falco who was Calypso's chief diver and Jacques right hand man. Together they would swim with sharks, whales and bring up buried treasure. In the 1970s and 1980s Jacques Cousteau was an extremely prescient environmentalist when he documented–on film–how human's were destroying the planet by polluting and overfishing the ocean. In his lifetime, Jacques Cousteau produced more than 120 Television documentries and 50 books. Jacques died in 1997 at age 87 and left behind an incredible legacy as well as the Cousteau Society which had 300,000 members. One of the reasons I love Jacques Cousteau is that he was really the first documentarian to take you along for the adventure, which is exactly what I try to do with Jake's Rolex Watch Blog. Jacques Cousteau's documentary films made you, the observer, feel like you were in Antarctica cutting through the ice, or in the Galapagos Islands. To my way of thinking, this is the truest form of storytelling–particularly since humans reason by analogy. Today, there are some great personalities that achieve this like Ken Burns, and Jacques son, Jean-Michel, as well as Jeff Corwin on the Jeff Corwin Experience. 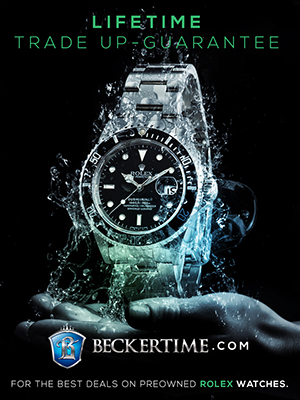 On page 399 of James Dowling and Jeff Hess' Rolex history book, The Best of Time, Rolex Wristwatches, [3rd and most current edition] under the title of Notes & Queries, they asked in question number 5 "How was Jacques Cousteau involved in the development of the Submariner?" 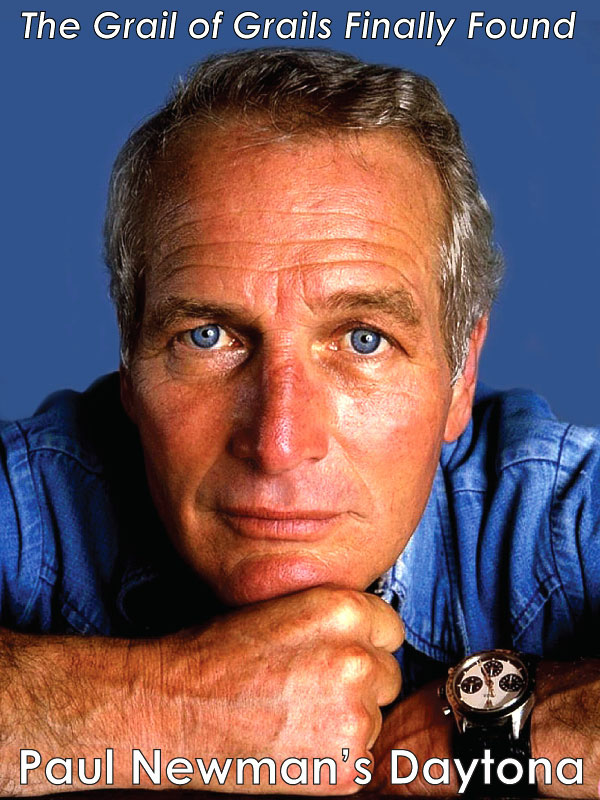 Last year I was having a fascinating conversation with James Dowling on the phone and I asked James why he posed this question about Jacques Cousteau's potential involvement in the development of the Rolex Submariner? I asked James this question because I had been wondering the same thing for some time. I expected James to offer some kind of clue, but he said he had no clues, but that it simply had crossed his mind and he thought it was worth asking. One of the ways I discovered much of the Rolex history I have shared on Jake's Rolex Watch Blog is based upon my intuition. For some reason, my intuition kept telling me, for decades, that Jacques Cousteau wore a Rolex Submariner but I could not prove it. 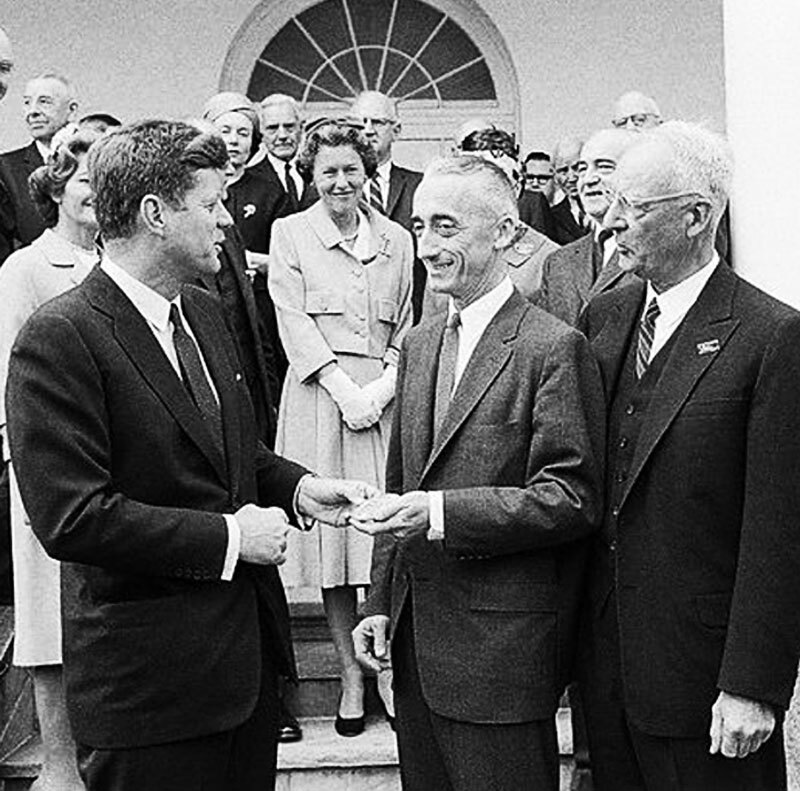 When I first saw the following photo of Jacques Cousteau wearing a first generation Rolex Submariner on an Oyster band, I felt a tremendous sense of elation and satisfaction!!! It was a true eureka moment!!!! 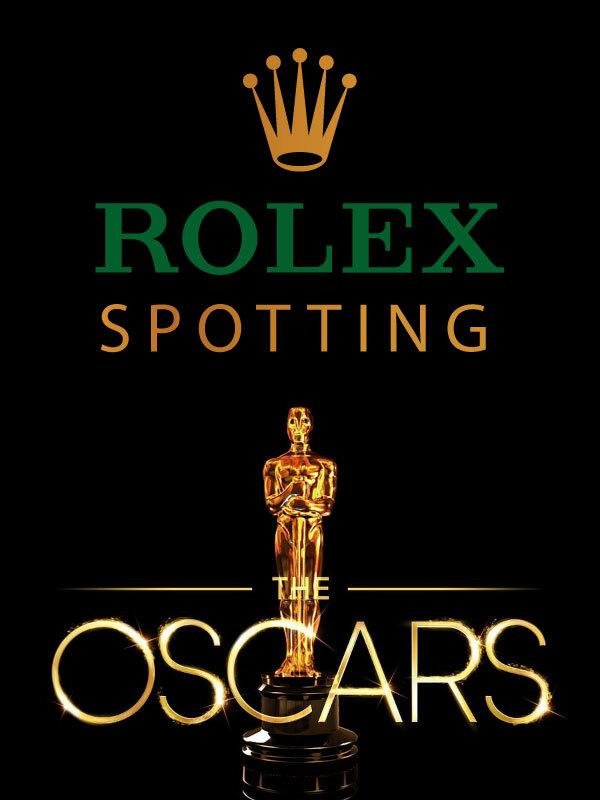 I realized that one of the great Rolex history puzzle pieces had been put into place. The challenge of course is that whenever I seem to put a Rolex Holy Grail puzzle piece into place, it ends up resulting in a new puzzle to be solved!?!?!?! 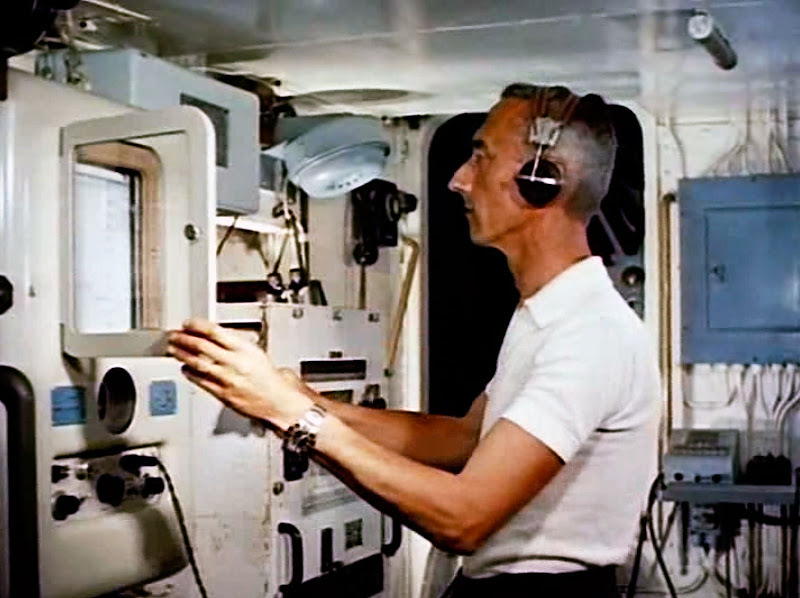 My whole life, especially as a child, I used to watch Jacques Cousteau on TV as he traversed Earth aboard his Calypso research vessel, and recently I have been watching a lot of film on him. The more I study his career the more blown away I am!!!!!!!!!!!!!!!!!! So here we see in this image, a young Jacques Cousteau wearing an early Rolex Submariner with no crown guards. I believe this photo was taken in 1955 on or around March 16, 1955 in the Red Sea as Jacques Cousteau was filming his first Academy Award winning movie, The Silent World. 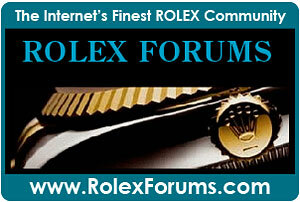 Rolex first introduced the Rolex Submariner at BaselFair in Switzerland in 1954–I believe in late March. This means this photo was taken one year after the first Rolex Submariner was introduced. Cousteau began filming The Silent World on March 8, 1955 and completed filming on June 27, 1955 as the Calypso went into dry dock for major repairs in Marseille, France. [Marseille, France is where COMEX was founded six years later in 1961.] The Silent World was first released in France on February 15 of 1956 to critical acclaim, then released in Italy on September, 22 1956. 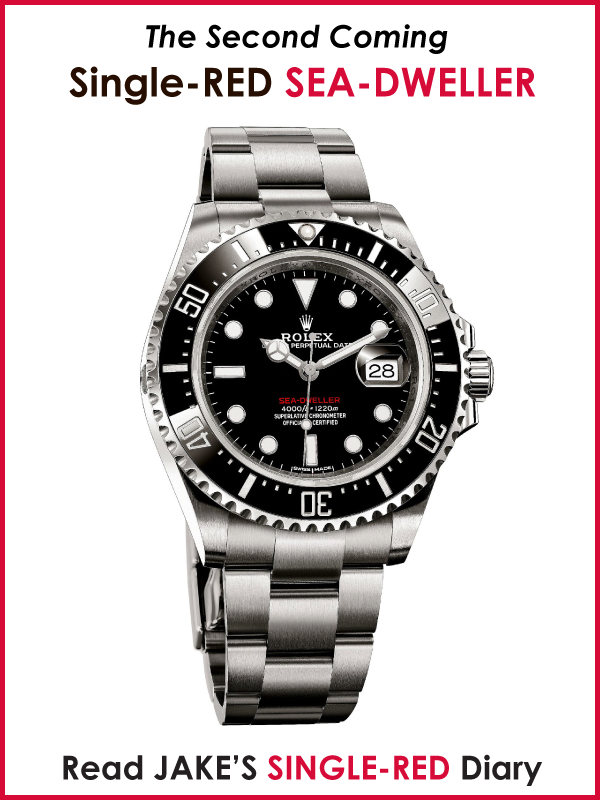 As Abel from Buenos Aires points out, the Rolex Submariner is likely a Reference 6200, 6204 or 6205 since it does not have the Mercedes Logo-like marker on the hour hand. My best guess is that it is a Reference 6205 because I believe I see the Submariner designation on the dial and pencil hands. I don't think it is a 6200 because it lacks the 3,6,9 Arabic, Explorer-like dial indices. 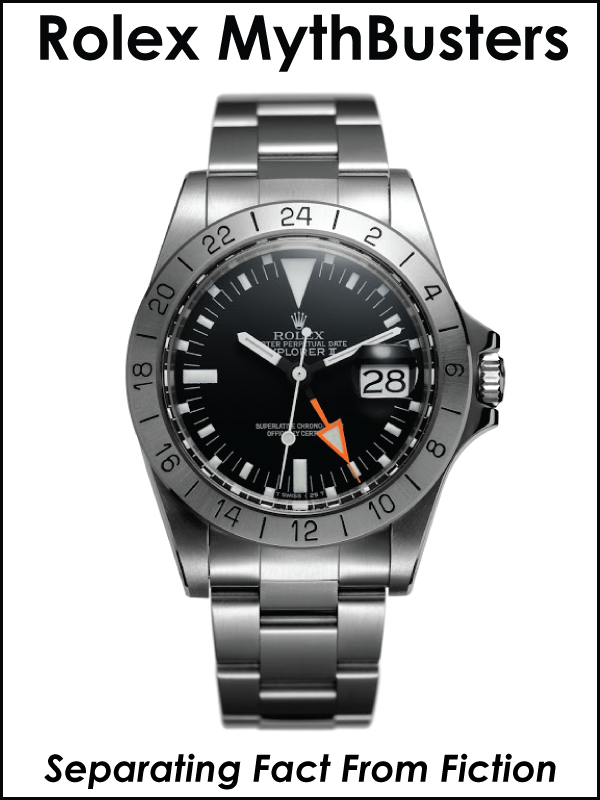 Also, I believe the 6200 typically had the Mercedes-like marker on the hour hand. 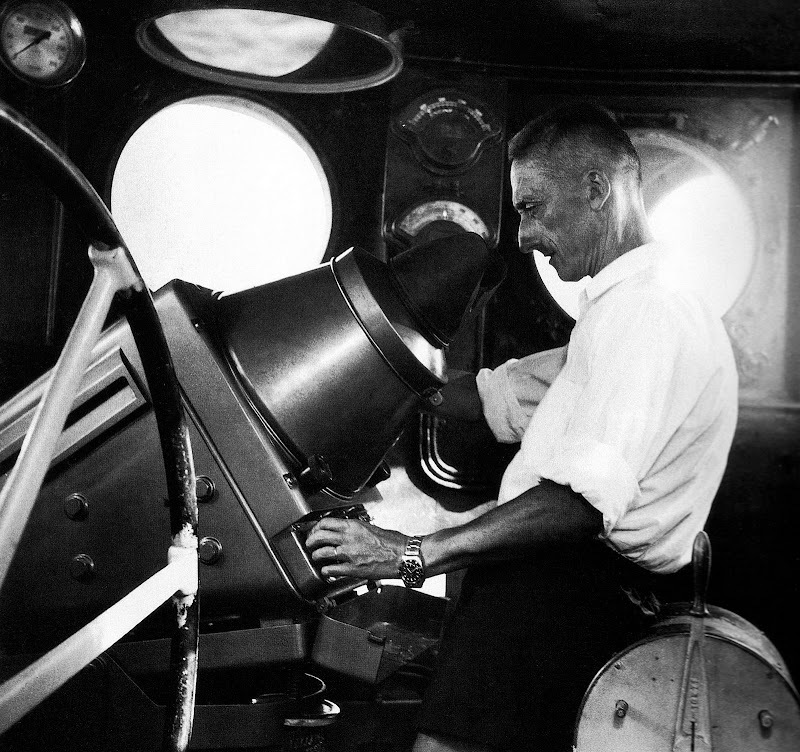 This photo was taken on Calypso's bridge with Captain Cousteau peering into the hood of a radar screen to locate a sunken ship located in the Red Sea. Calypso means "Water Nymph" and the ship was originally built in the United States during World War II in 1942 as a Minesweeper J-826 for the British Navy. If you look closely at the image below you notice the lack of crown guards. Here is a photo from Rolex of the very first Rolex Submariner model from 1953, which appears to be identical to the watch Jacques-Yves Cousteau is wearing in the photo above. 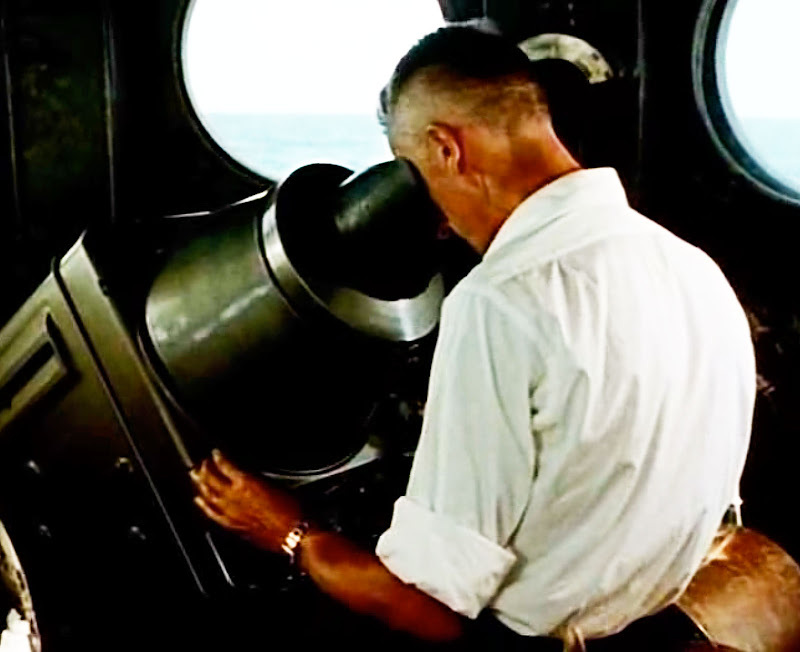 After carefully evaluating Jacques Cousteau's Academy Award winning 1956 (primarily shot in 1955) movie named The Silent World, I realized there are Rolex Submariner watches all over the place. 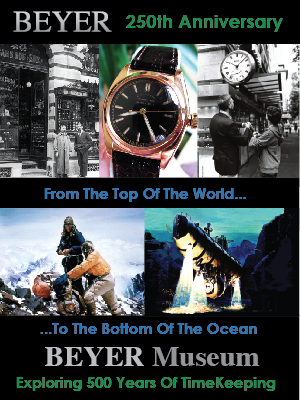 The next 5 photos are screen-shots from The Silent World and they all show Rolex Submariner watches. 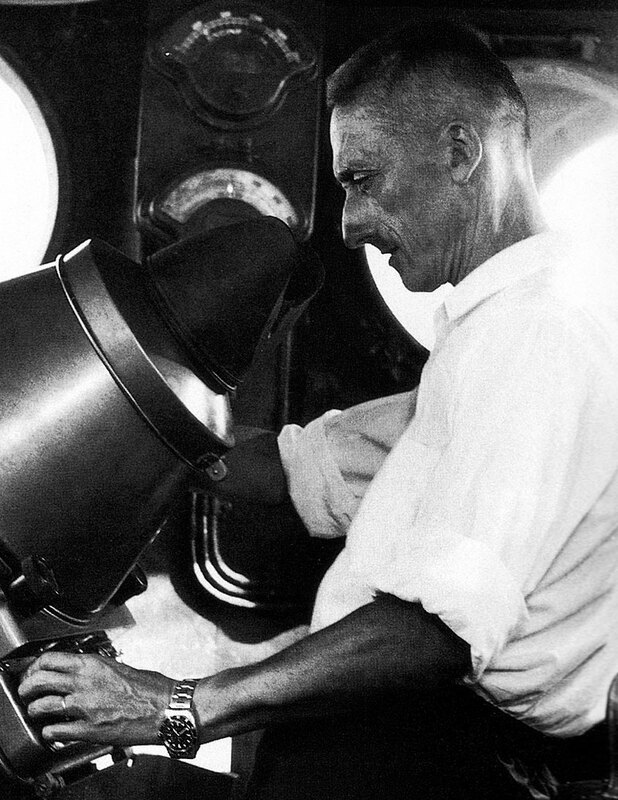 This first image of Jacques Cousteau is taken from a similar vantage point as the still photo in the above 3 photos. This proves the context of the image above. 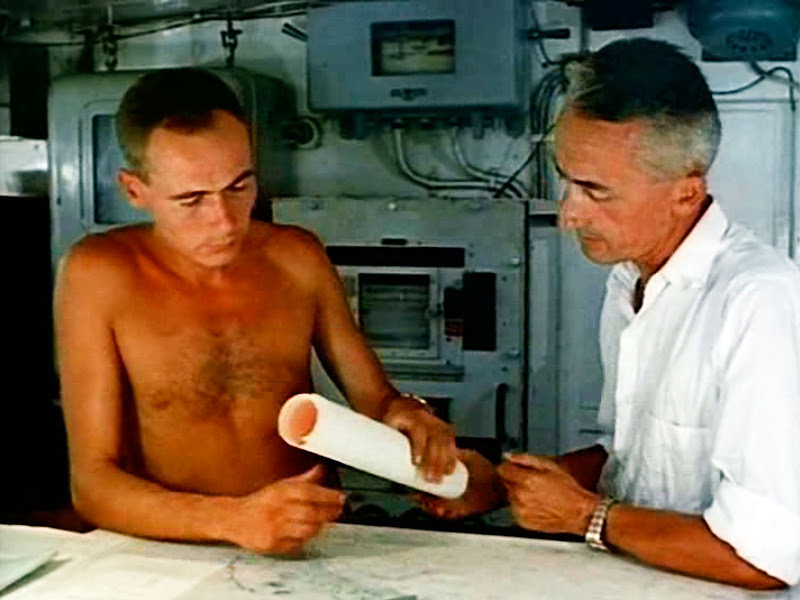 This next shot below is from the map room and you see the Rolex Submariner on Jacques Cousteau's wrist. This next shot below is also from the map room and you see the Rolex Submariner on Jacques Cousteau's wrist. Jacques Cousteau wore his Rolex Submariner a little bit loose as you can tell in all the photos. This next shot, below, was taken on the ocean floor of the diver who was with Falco and swam too quickly to the surface without decompressing. 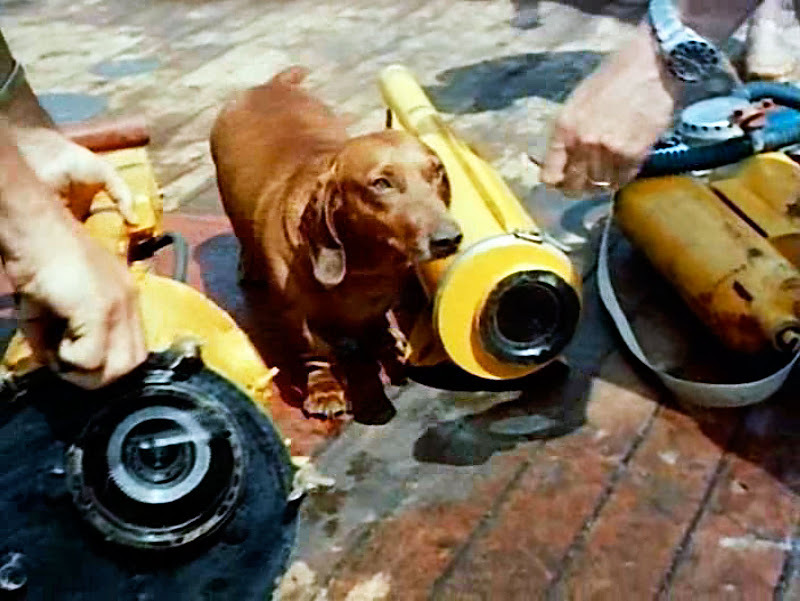 Once he got back on-board the Calypso, Captain Cousteau insisted he be put in the decompression chamber. This diver is clearly also wearing a Rolex Submariner on an Oyster bracelet. 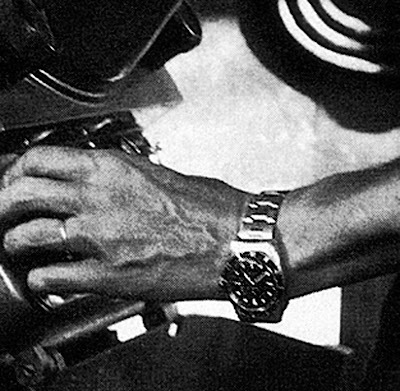 While the photos are not tack sharp, since the film was shot in 1955, these watches have to be Rolex Submariners because they were the only watch that looked like this at the time. In this next image taken on the deck of the Calypso, we see another Rolex Submariner worn on an unidentified wrist. This photographic evidence from The Silent World proves conclusively that Jacques Cousteau and members of the Calypso were in possession of very early, first generation Rolex Submariner watches. This is where things get REALLY interesting. I mentioned before that often times when I find one major piece of a Rolex history puzzle and complete that puzzle it often leads to a whole new puzzle and that is the case here. Let me be specific. 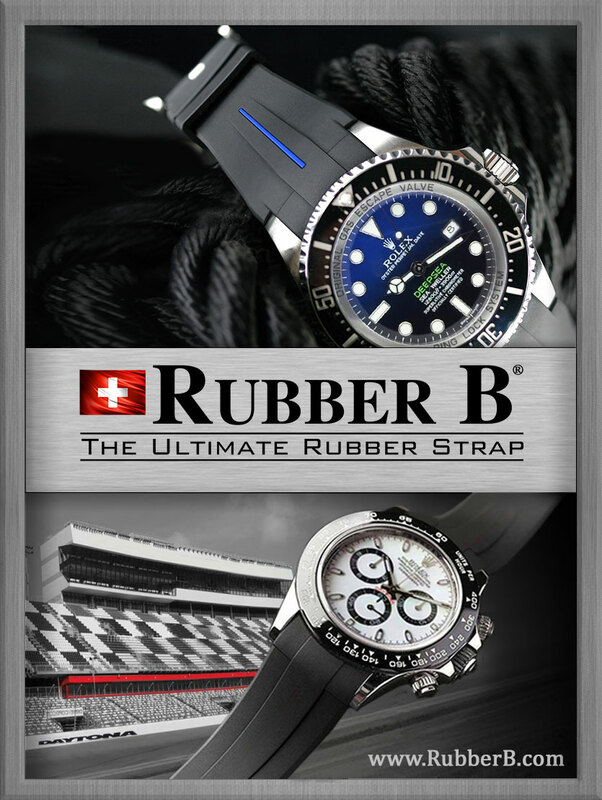 I think we have arrived at the final nexus of the yet to be documented Rolex SEA-DWELLER history. 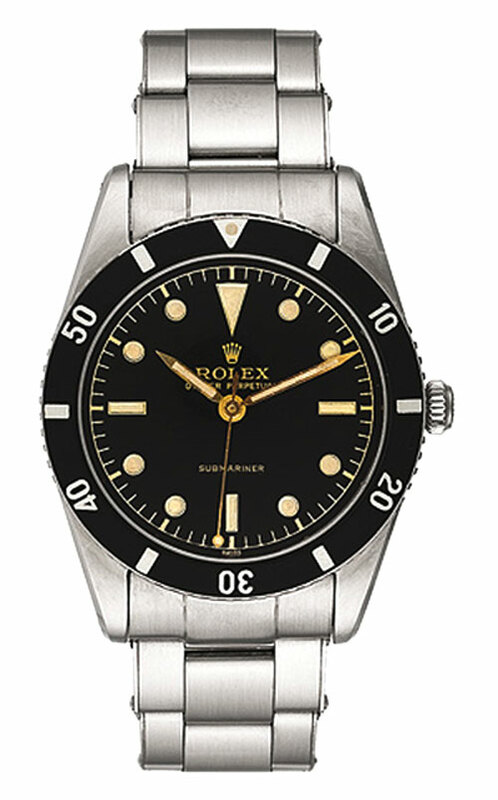 I am going to go out on a limb here, but I believe Jacques Cousteau's career and achievement may have been the impetus for Rolex to develop the Rolex Submariner and the Rolex SEA-DWELLER. I say this, because Jacques Cousteau, beyond being a SCUBA diver was also a documented Bathyscaphe Submariner and went down at least 5000 feet in a Bathescaphe. Jacques Cousteau was also the first man to build an underwater habitat for SEA-DWELLER's.